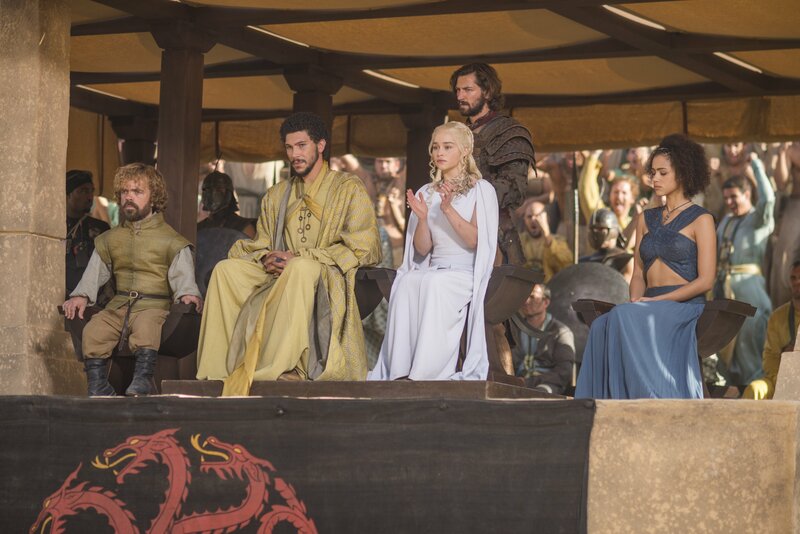 dany with missandei, daario, tyrion and hizdahr. . HD Wallpaper and background images in the Daenerys Targaryen club tagged: photo game of thrones house targaryen daenerys missandei tyrion lannister daario naharis. This Daenerys Targaryen photo might contain completo, vestito di affari, and damigella d'onore.